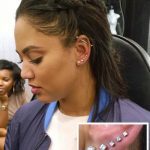 Chantel Jeffries dropped by for another piercing from Benson Dingus Piercing Specialist on August 1, 2016 and decided to pierce her helix. 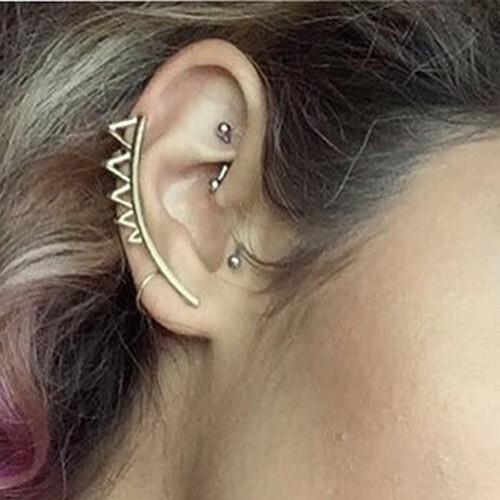 Now she wears a total of five piercings in her left ear. 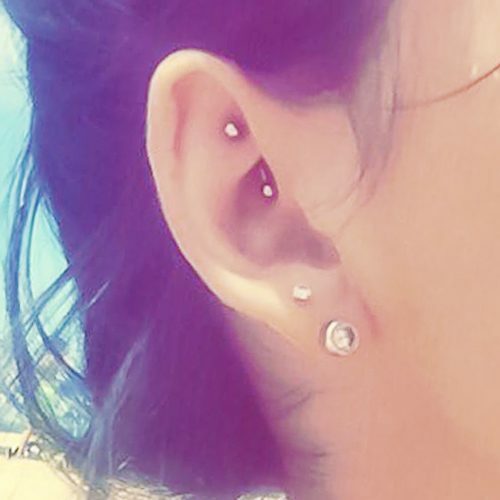 Brooke Hyland got a rook piercing at Dimensions Body Piercing in Ocean City, Maryland in June 2016. 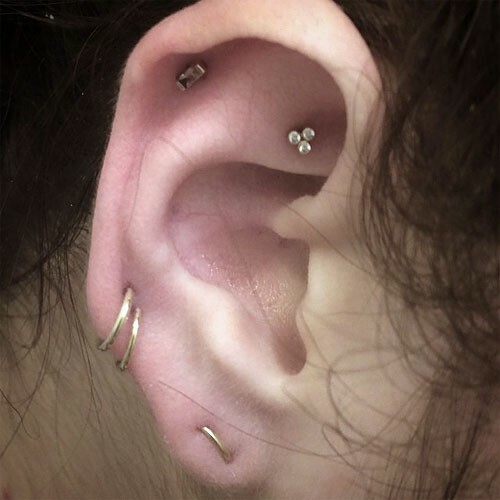 “Leaving OC w/ one more hole in my ear ? 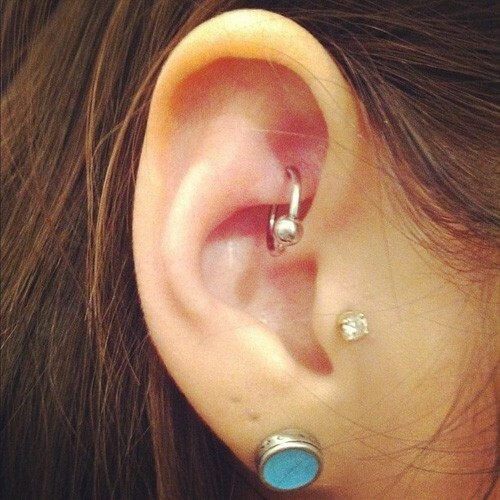 #SorryMom #SWEEK” she wrote on her instagram. 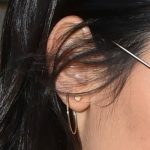 Chantel Jeffries wore in her left ear a tragus piercing, one rook piercing, an auricle/rim hoop and a long lobe earring bar with long drop chain at the base. 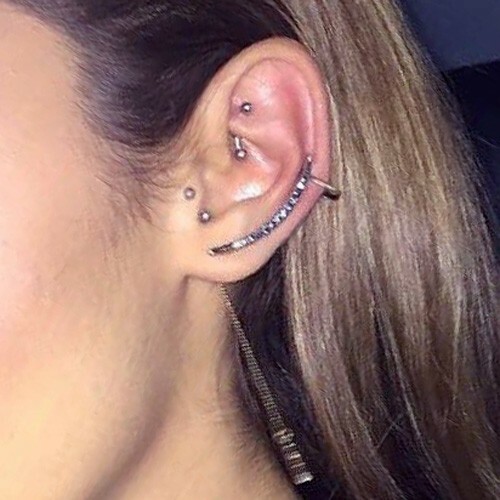 Chantel Jeffries had new piercings in her right ear, a rook pierce, a tragus one, a long curved metallic crawler earring to cover all the cartilage and one tiny ring on her upper lobe. 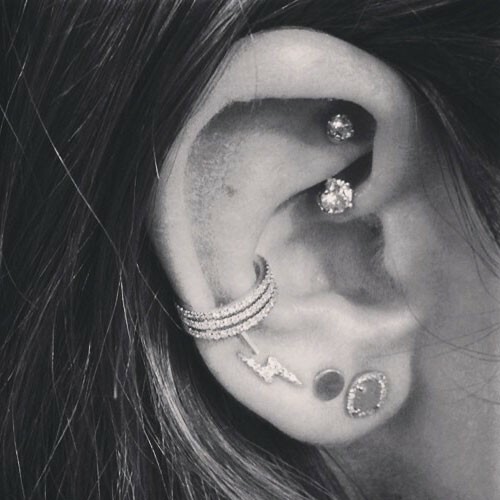 Nikki Reed has a rook piercing on her right ear which goes through the ridge of her ear and has jewels on both ends. 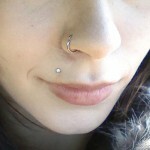 She also has three lobe piercings. 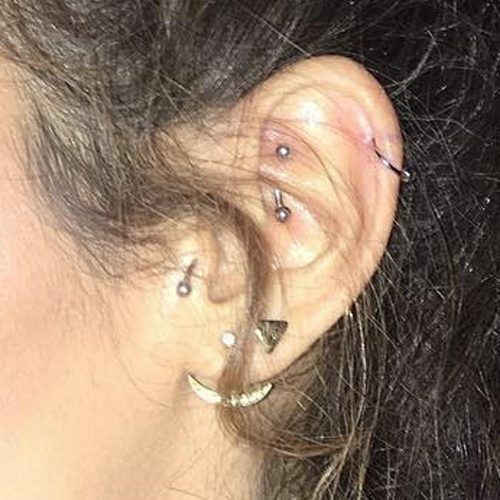 Nikki Reed’s ear cuff is just jewelry and not a piercing — but her rook piercing and multiple lobe piercings are all real.